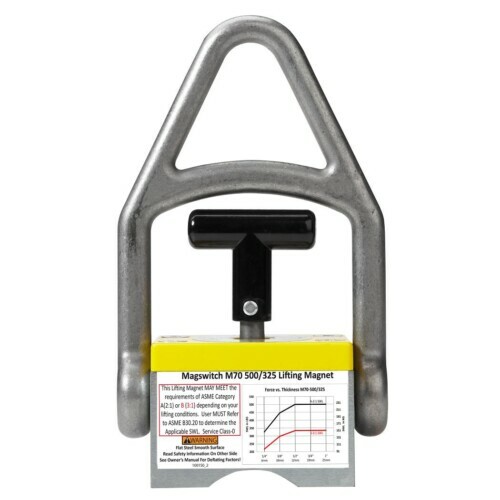 Magswitch adjustable on/off magnetic welding angle offers virtually every odd angle in seconds. 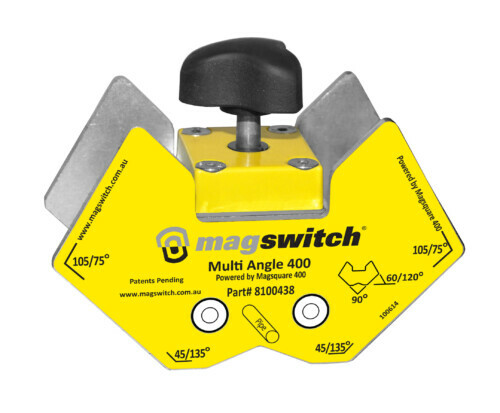 Featuring two rotating Magswitches at the end of each axis with 3 sizes, 150, 400 and 600 lbs. holding force each. 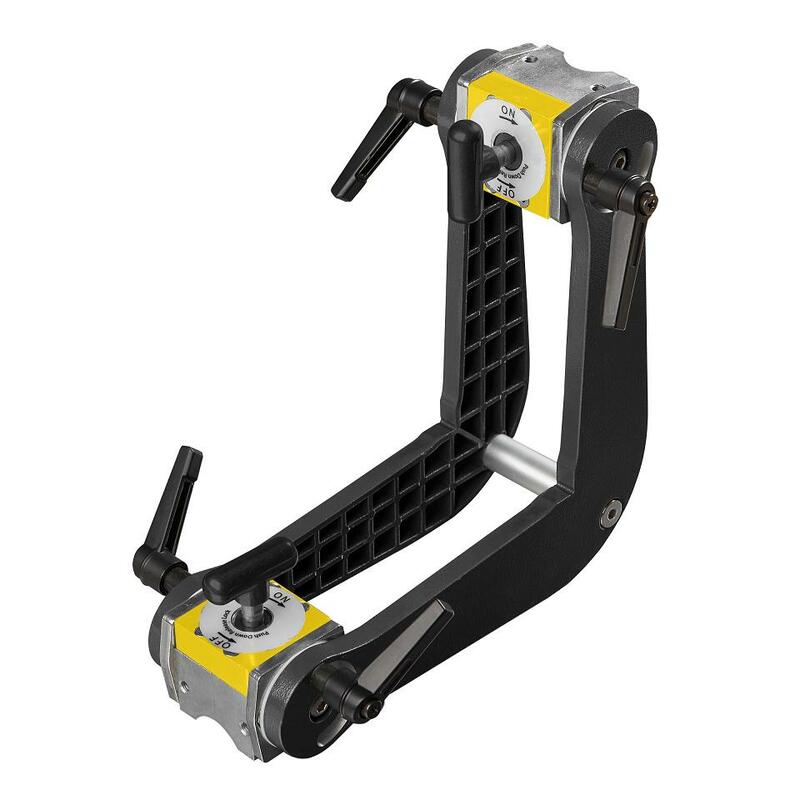 The Boomerangle not only offers a fixed 90 degree angle on the inside and outside, but is adjustable to any angle in between. 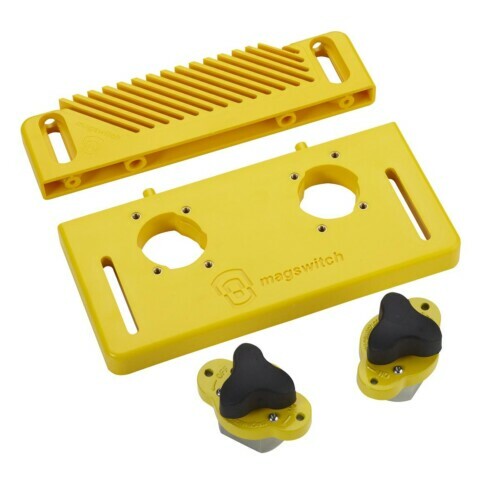 Featuring the patented Magswitch® technology for complete on/off control for precise positioning and they stay clean. Holds flat and round.